Not sure if I have found a bug of some sort or something else. 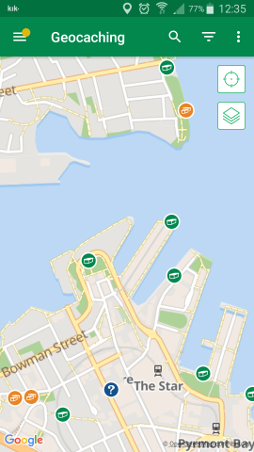 While browsing around the Sydney area, we discovered a cache that only appears on the website map, and non-Groundspeak apps, but DOES NOT appear on the Geocaching app? Not sure why this is the case, as it has been verified by multiple people on different devices and each has the same experience. I'm seeing that cache on the map of the iOS app, but do not see it on the Android app. Perhaps this thread should be in the Android App forum? Yep, I'm seeing (or not seeing) the same thing on the app on my Android phone. I wonder what it is about that cache it doesn't like? Just had another missing from Android app instance. This was a newly published cache. I tried to open it from the email link, to open in the Android app, but then I got the "something's wrong" message. I open ed it in the Firefox app instead and used the small map on the webpage to see its location. 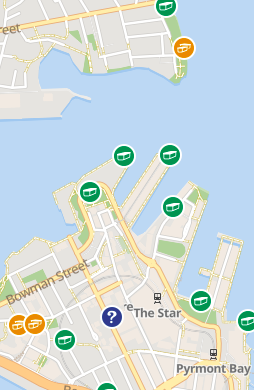 I then opened the app to the overall map, but the cache icon (Traditional) didn't show up there either. I just typed the coords into Google maps and headed over, reading the cache info from the webpage view on the Firefox app. Yay, FTF! Now, I'm looking at my iPhone 5s and the website browsing map. 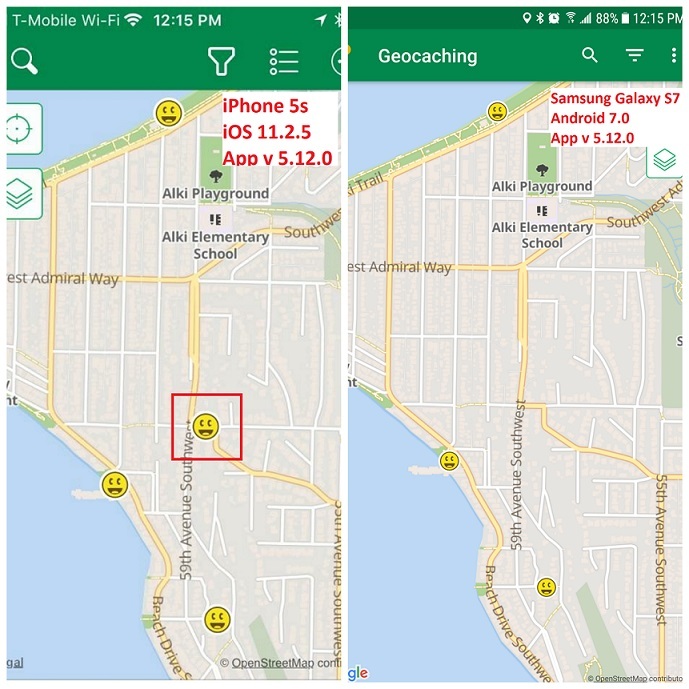 On both of these, the cache icon appears on the map. I refreshed the Android app, and the cache still doesn't appear on the map view. Just a thought. Try clearing the cached data (no pun intended) from the android app and see if it appears. Oddly enough, it does show up in list view, just not on the map. Just tried again, which would be 2+ hours from when the cache was published, and it now appears on the Android app map and I can open it in the Android app from the link in the published notification email. Tried that at the time and it didn't help.